Leonid Mikhelson was born on the 11th August, 1955 in Kaspiysk, Russia. He is a business tycoon, best known for being the major shareholder of the gas company “Novatek” based in Russia, and in addition to this, he is the chairman and CEO of the company. Gas business is the main source of Leonid Mikhelson net worth. How rich is this businessman? According to the data of Forbes magazine, the net worth of Leonid Mikhelson currently stands at around $14 billion – varying with the price of oil especially – which makes him one of the richest people not only in Russia but in the richest one hundred in the world. To give some background facts about Leonid Michelson, he was born in Kaspiysk but in his early childhood his family moved to the city of Novokuibyshevsk in the Kuibyshev region of Russia, where he was educated and graduated from the school number 8 in 1972. His father, Victor Zelmanovich Mikhelson, was engaged in the construction of oil pipelines and later became director of the trust “Kuybyshevtruboprovodstroy”. His mother, Praskovya Fedorovna worked in the field of construction. In 1977, he graduated from the Kuibyshev Civil Engineering Institute with a degree in civil engineering. Afterwards, he worked as a foreman in SMU in the Khanty-Mansi Autonomous District of the Tyumen region in the vicinity of the city of Surgut in the construction of the first pipeline Urengoy – Chelyabinsk. In 1984, he became chief engineer of the trust “Ryazantruboprovodstroy”. Then from 1987 he headed the “Kuybyshevtruboprovodstroy”, which in 1991 following perestroika was the first in the region to became a private company, called “SNP Nova”, a position he held until 1994. Then he became the CEO of the management company “Novafininvest”. Naturally, these positions helped considerably in his rapidly rising net worth. Since 2003, he has been a Member of the Board of Directors and Chairman of the Board of JSC “NOVATEK”. 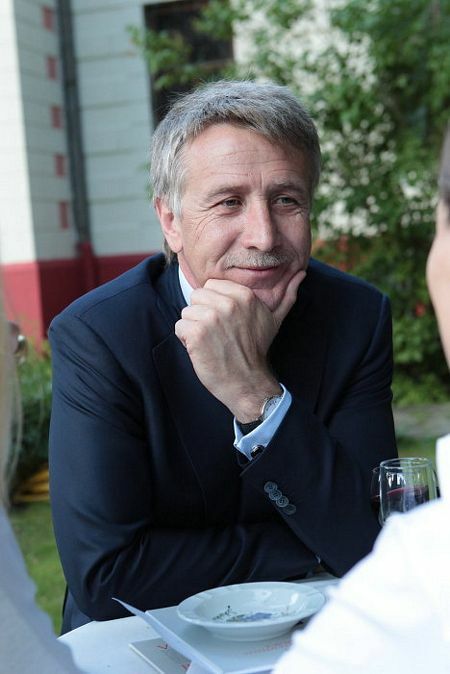 From March 2008 to December 2010 Leonid Mikhelson held the positions of the Board member, Chairman of the Board of Directors of JSC “Stroytransgaz” , as well as being a Member of the Board of Directors of “Finance Art” from 2008 to 2011. From 2011 to 2013, he was a member of the Supervisory Board of JSC – “Russian Regional Development Bank”. Since 2011 has been in the position of the Chairman of the Board of Directors of JSC “SIBUR Holding”. Needless to say, that all those engagements significantly increased the outright size of Leonid Mikhelson’s net worth. However, it should be noted that he expressed himself not only in the field of gas and oil business. In 2009 he founded in Moscow Foundation for Contemporary Art “Victoria – The Art of Being Modern” (Victoria – the Art of Being Contemporary) in order to present the best of modern art in Russia, integration of Russian art in the international art context as well as in educational and educational activities in the field of contemporary art in Russia. Concerning the personal life of the business tycoon, he keeps his life private. It is known that he is married, and has a daughter who is one of the richest heiresses in Russia. Leonid Mikhelson likes travelling, but currently he resides in Moscow, Russia.